Journey back to a time when the music was dope, the girls were fly, and the fashion was fresher than the Prince of Bel Air. This is LAZER DAD, the tribute band that serves up a shot of nostalgia straight from the heart, with the hits of the 1990s! 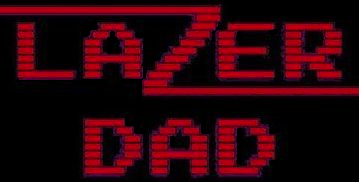 Put your Tamagotchi to bed, frost your tips, slap on a neon windbreaker and get ready to spend a night in the Nineties with LAZER DAD!